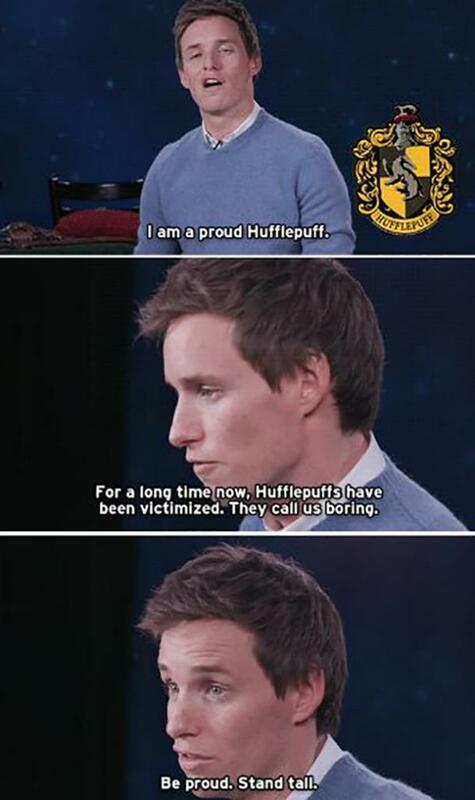 House Hufflepuff for the win. 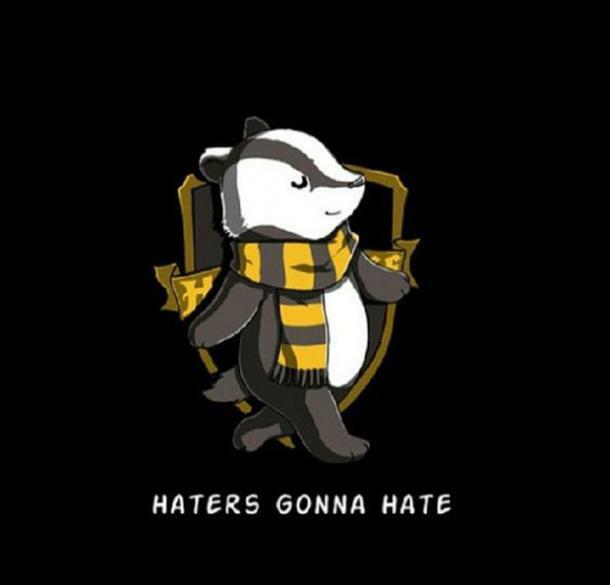 Have you been waiting to show your badger pride? 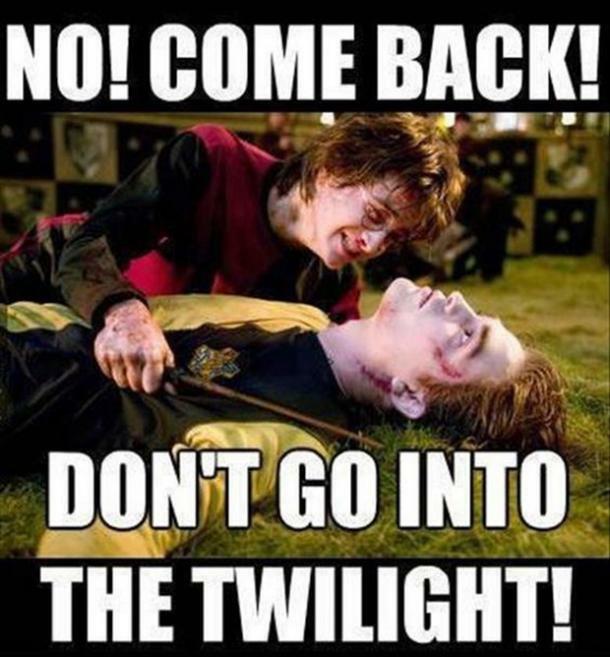 Well wait no more. 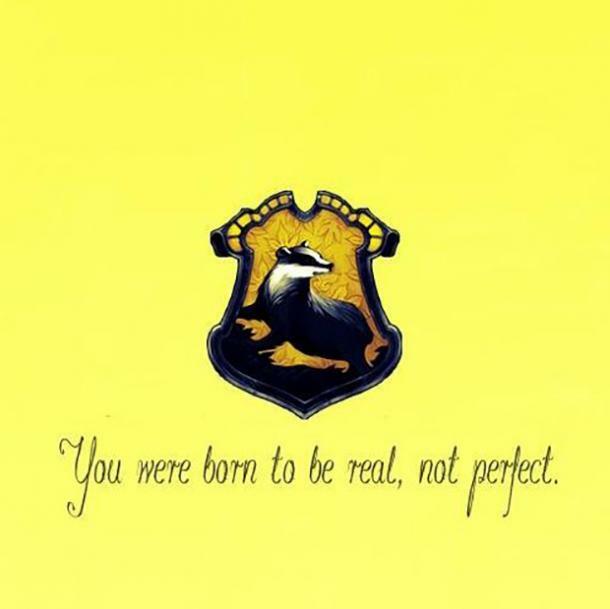 March 20 is Hufflepuff Pride Day! 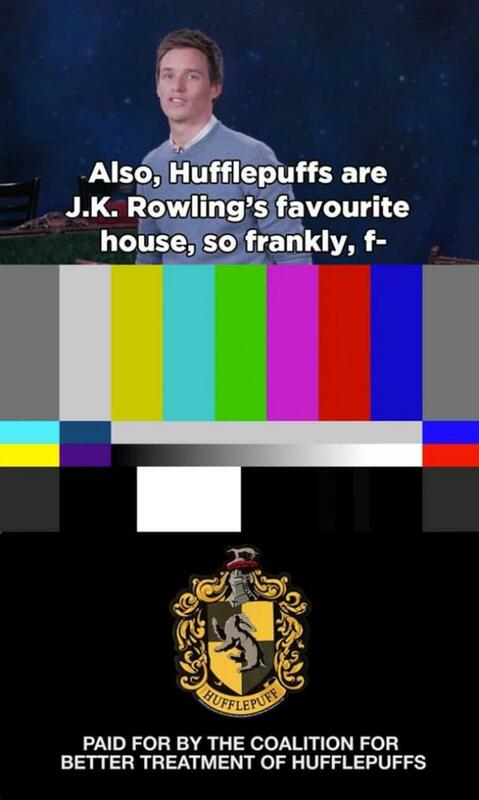 Hufflepuff is one of the four households in the Harry Potter Universe. 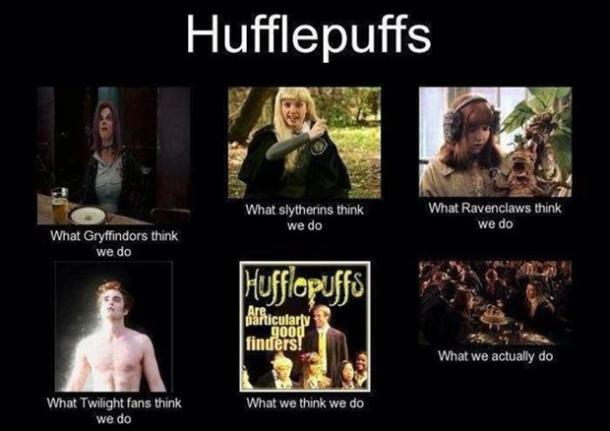 Founded by Helga Hufflepuff, the household is filled with people who value hard work, loyalty, honesty and fairness. They don’t need to show how brave, crafty or smart they are. 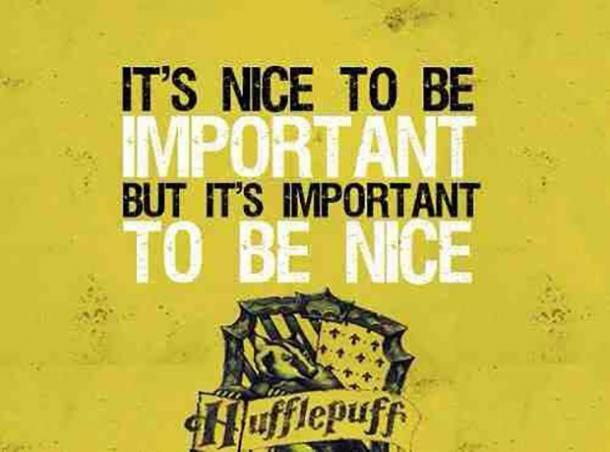 Hufflepuffs pride themselves on being kind to all, which is an important quality to have. It’s a quality that gets them far in life. 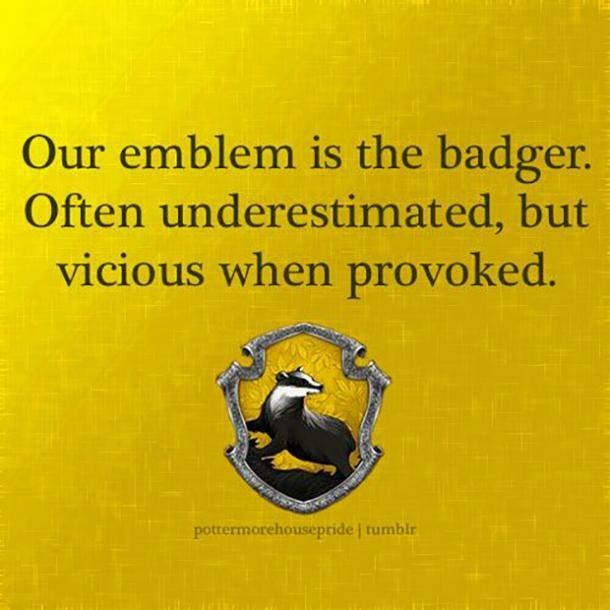 Hufflepuffs are unpopular, easily making them the most underestimated and overlooked group of all the households. 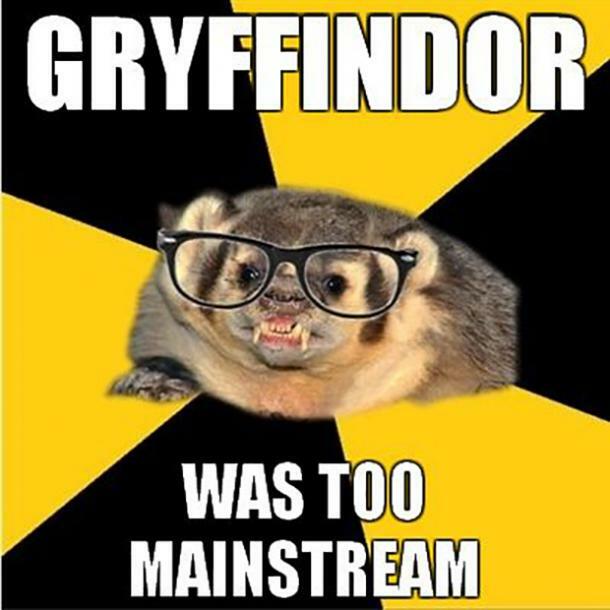 They are considered to be boring, common-folk. But if you dig deeper, you will find that they are simply understood. In life, the common folk aren’t always acknowledged, but that doesn’t mean that they aren’t worthy of being praised. These are the people who get up every day and work for the betterment of the world around them without expecting anything in return. They live a balanced life and find peace in accepting everyone for who they are, even if they disagree with their choices and values. 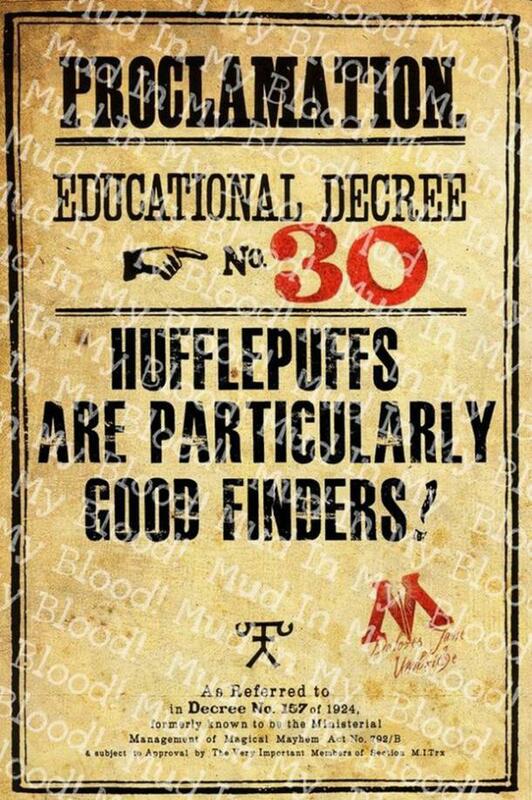 That is why if you don’t fit in anywhere else, you can always find a place with Hufflepuff. 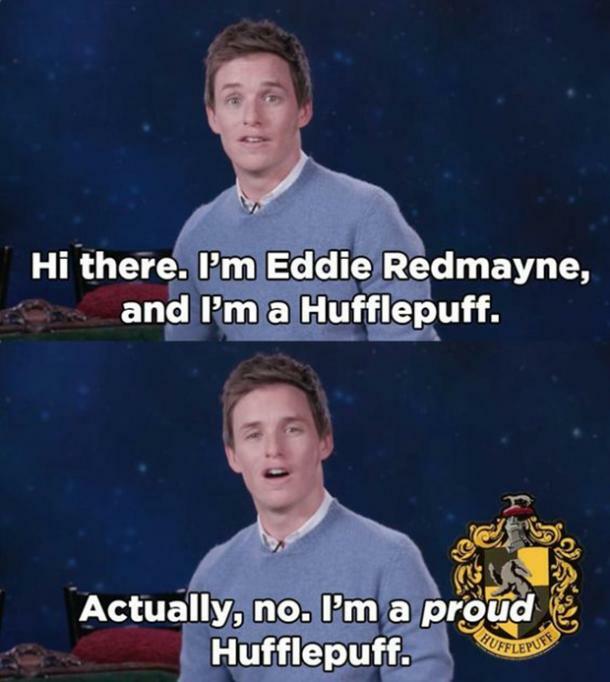 This makes Hufflepuff Pride Day an important day. It is all about embracing what makes you stand out in a crowd. 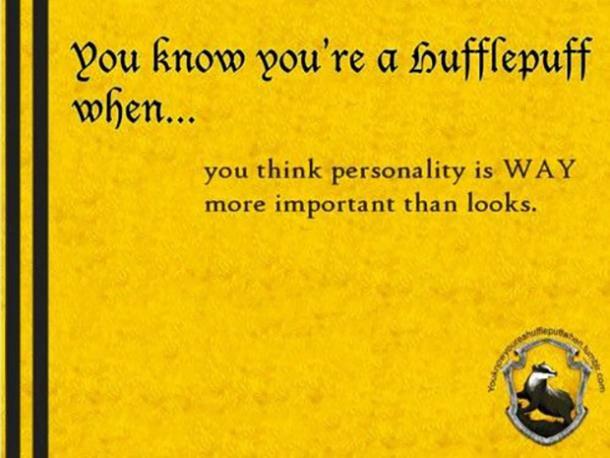 Hufflepuffs dare people to find comfort in standing out when they clearly don’t fit in. 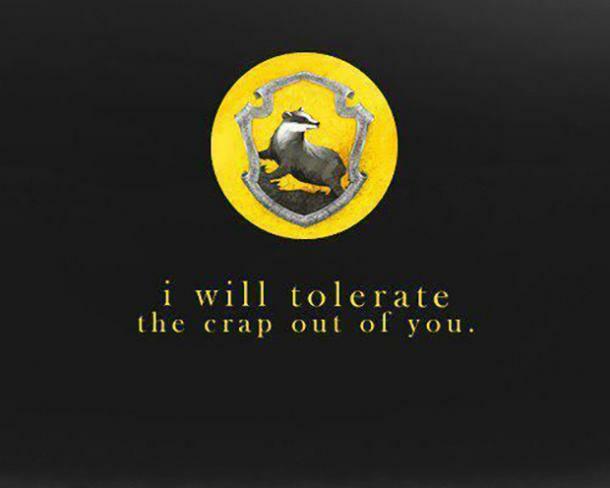 So, whether you know you’re a Hufflepuff (you can find out by taking the Hogwarts Sorting Experience quiz on Pottermore), think you’re a Hufflepuff, or despise every Hufflepuff, these memes will resonate with you. 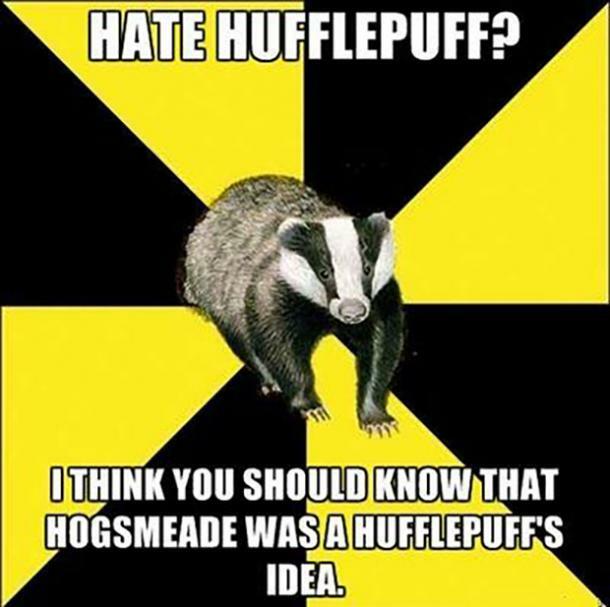 But for my Hufflepuffs, here are 20 Hufflepuff memes and Harry Potter quotes that you can relate to as you celebrate your love for Harry Potter with your family and friends. You’ll be sure to remember why you wear your black and gold so proudly. 1. Sweet as can be. 2. 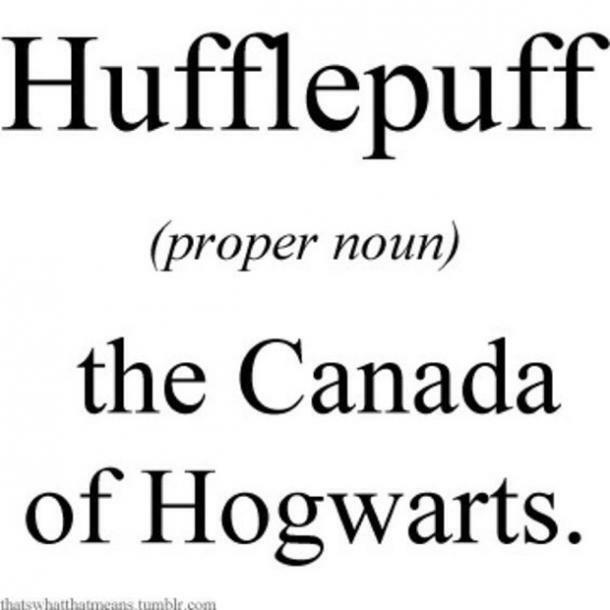 Say it loud and proud. 3. 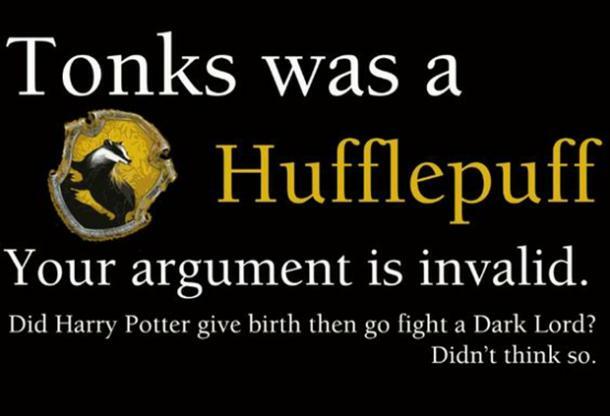 Forever letting other people come to the conclusion on their own. 4. Show them who you really are. 6. The real know what's up, that's all that matters. 7. I'm not a killer but don't push me. 8. Get in where you fit in. 9. 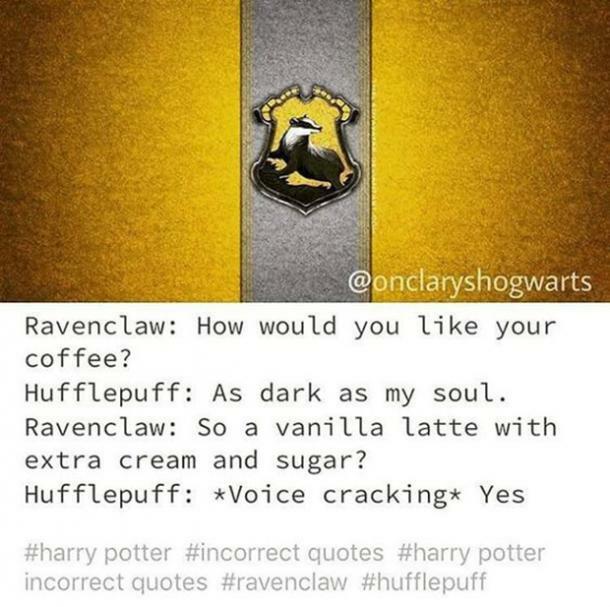 Take it as a compliment. 11. Coming to a theater near you. 12. The best of the best. 13. 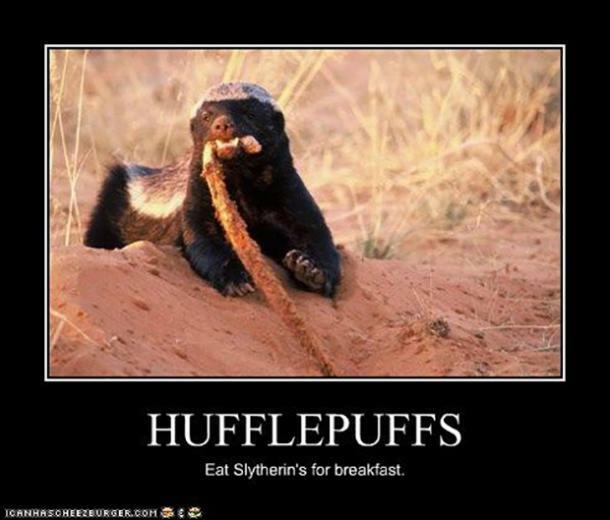 The most important meal of the day. 18. 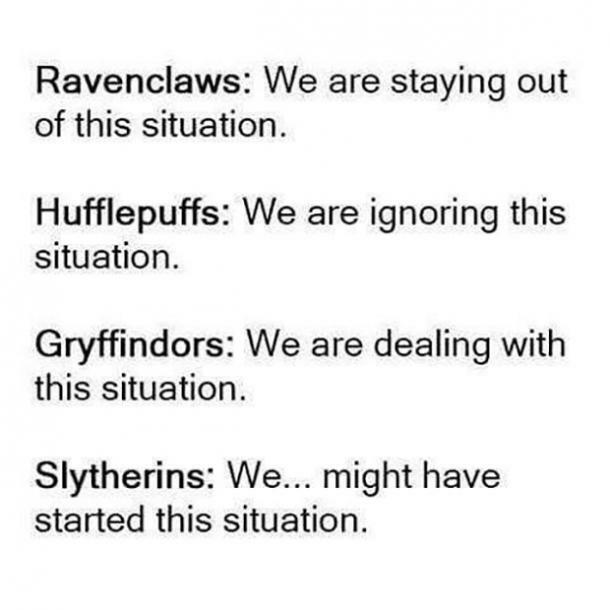 As real as they come. 19. Fairness is a positive trait.